This Tuscan variety was the first of the Italian reds to be planted widely in Australia. Sangiovese is the most commonly grown red wine variety in Italy. 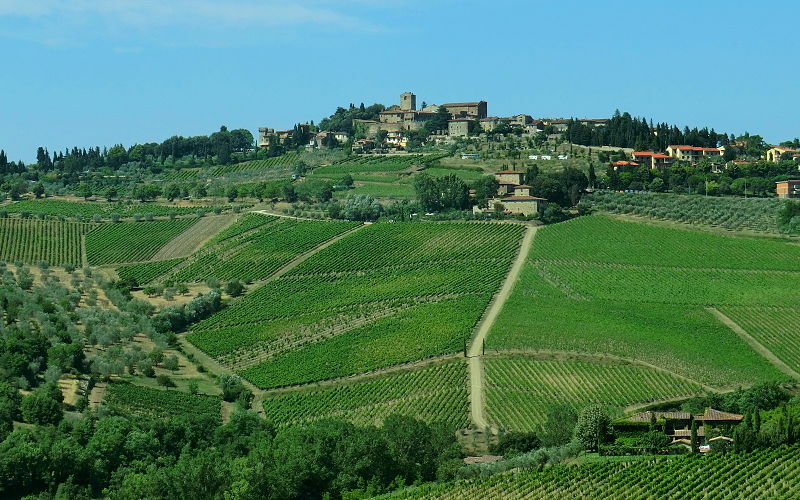 It is best known as the variety behind Chianti, Tuscany's flagship wine. 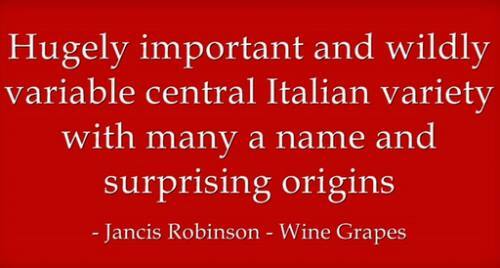 In fact this variety is grown throughout Central and Southern Italy. Sangiovese is the only variety permitted in the famous wines from Brunello di Montalcino, which are regarded as among Italy's best. They're made a strain of Sangiovese Grosso called Brunello ("little dark one"), so named for the brown hue of its skin. Although these wines are grown and made in Tuscany they are big, deep-coloured, and powerful, with enough tannins and structure to warrant considerable cellaring. Over recent years there has been increased plantings and interest in the variety in California. It is comparatively scarce in WA, perhaps because of the mix up a few years ago when some WA wineries, including Howard Park planted what they thought were Sangiovese vines but they turned out to be Carnelian. Some commentators believe that many plantings of Sangiovese made during the 1990s were of inferior clones. This probably contributed a bit to the cooling of enthusiasm of by Australian growers, winemakers and consumers of the variety. There was also some confusion over the best style of wine to be made in Australia. Too many wines were made in the style of Australian Shiraz, rather than emphasis on the strengths of Sangiovese - its ability to make make medium bodied wines with good acid structure. For whatever reason the quality of Sangiovese wines in Australia has increased steadily over the past few years. Many winemakers in Australia have discovered that Sangiovese makes good rose style wines.